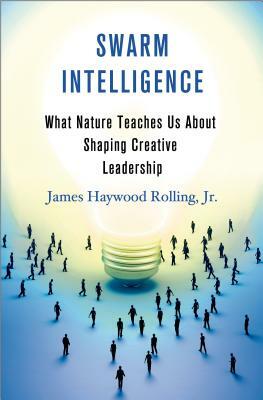 By James Haywood Rolling, Jr.
Companies and organizations everywhere cite creativity as the most desirable - and elusive - leadership quality of the future. Yet scores measuring creativity among American children have been on the wane for decades. A specialist in creative leadership, professor James Haywood Rolling, Jr. knows firsthand that the classroom is a key to either unlocking or blocking the critical imagination. He argues that today's schools, with their focus on rote learning and test-taking, work to stymie creativity, leaving children cut off from their natural impulses and boxed in by low expectations. Drawing on cutting-edge research in the realms of biological swarm theory, systems theory, and complexity theory, Rolling shows why group collaboration and adaptive social networking make us both smarter and more creative, and how we can design education and workplace practices around these natural principles, instead of pushing a limited focus on individual achievement that serves neither children nor their future colleagues, managers and mentors. The surprising truth is that the future will be pioneered by the collective problem-solvers, making "Swarm Intelligence" a must-read for business leaders, educators, and anyone else concerned with nurturing creative intelligence and innovative habits in today's youth. James Haywood Rolling, Jr. is the chair of Art Education and a dual associate professor in Art Education and Teaching and Leadership at Syracuse University. He has served on the Board of Directors of the National Art Education Association, and is the author of over 25 articles, nine book chapters, and two books on the subjects of the arts, education, creativity and human identity. He lives with his wife Me'Shae near Syracuse, New York.